Hospice is there for that final part of the journey called “life”. Everyone is an individual, with different likes and dislikes, different circumstances and situations. But the finality of life is a common bond that we all share. How we approach the end of life will determine our experience. Hospice affirms life and treats dying as a normal part of living. The focus is on helping the person make the most of their remaining time by providing comfort and relief from pain and other symptoms. Hospice was originally defined as “a place of refuge for travelers on a difficult road or pass.” How appropriate it is that the philosophy of hospice today still resonates that idea. Hospice workers have been providing care for dying patients since 1967. Hospice care is different from traditional medical care because a cure is not the objective. 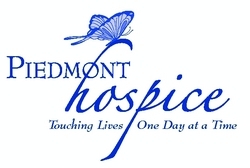 Hospice is a unique way of caring for patients’ who have a limited life expectancy. Hospice cares for the person, rather than the disease. It includes the family by giving them support and education. Hospice is a way of caring, not a place of care. It is estimated that 80 percent of hospice care in the United States occurs in the home. Care is also available to patients who reside in group homes, Assisted Living facilities and Skilled Nursing facilities. We all know that death is inevitable, but it remains shrouded in doubt and fear. Recent studies show that what is most feared is a painful death. The term “good death” has come to mean one with dignity, respect, relative comfort and an awareness of one’s surroundings. Is “A Good Death” a Possibility? The Institute of Medicine has defined a good death as, “one that is free from avoidable suffering for patients, families, and caregivers in general accordance with the patients’ and families’ wishes”. If death is seen as a failure or shortcoming rather than the important and natural part of life it is, patients cannot prepare for it. Families cannot discuss it. And all that gives the very notion of death tremendous, unnecessary power to cause misery and despair at a time that can and should be filled with joy and light. Patients who choose hospice are not “giving up.” Hospice does not speed death, nor prolong life. Hospice provides personalized services and a supportive care team so that patients and families can prepare for a death in a way that is satisfactory to them. The hospice care team is a group of individuals with a variety of medical and non-medical backgrounds who have been specifically trained in end of life care. This group of skilled & compassionate individuals work with the patient, family and attending physician to determine and provide the care that is most suited and beneficial to that patient’s needs. Each of these disciplines provide services according to the individual “Plan of Care” that is developed for each patient. In addition to physical and medical needs, it also addresses psychological, emotional, and spiritual needs. The hospice team includes the Medical Director, nurse case managers, hospice aides, social workers, chaplains and volunteers. Grieving the loss of a loved one can begin even before the actual time of death: We grieve for loss of the relationship, the loss of interaction, the loss of the type of support that our loved one gave us. We grieve the changes that occurred in our loved one’s life and the suffering that they may have gone through; we grieve for the opportunity to do the things we wanted to do together, and we grieve the end of the connection with that person here on Earth. An important part of hospice is the bereavement support that is given to the family and loved ones. Hospice is considered holistic; it includes the needs of the whole person, the whole family unit and considers needs on psychological and emotional levels, as well as the spiritual. The hospice chaplain can offer spiritual support counseling and emotional support. They can assist with funeral planning & participation, survivor visits, phone calls and letters. Living Every Day to the Fullest! When a patient can no longer benefit from curative treatment, hospice provides the best in medical, nursing, emotional, and spiritual care. At the center of the hospice philosophy is respect for the decisions of each patient and family member. Hospice is not about dying; hospice is about living every day, each moment fully.